Welcome to the world, Eden! It was such a pleasure to photograph this family again! Two years ago, they asked me to photograph their their daughter, Ivy and now they have a new little girl, Eden. Eden was a delight to photograph, she was so good for her photos! She slept all morning as I took her photos and we got a lot of variety too! 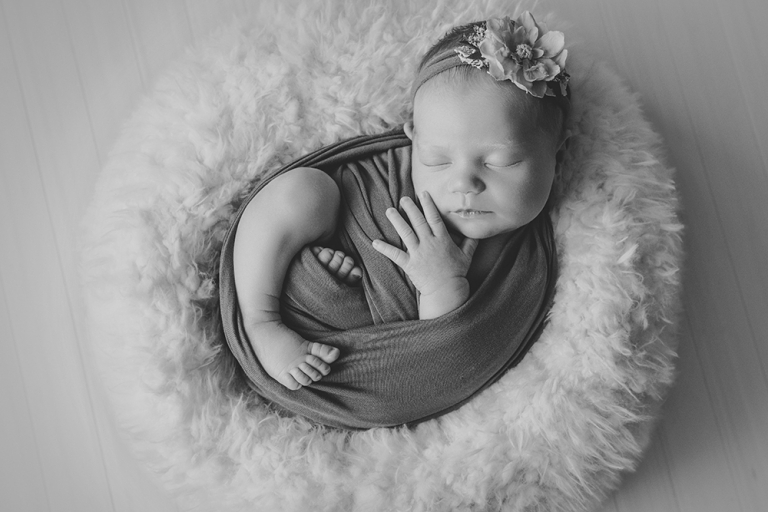 This particular newborn session was done in the comfort of their home. Eden’s mum and dad didn’t have to worry about going out with a two year and a newborn. They simply carried on with their day while I took Eden’s photographs. 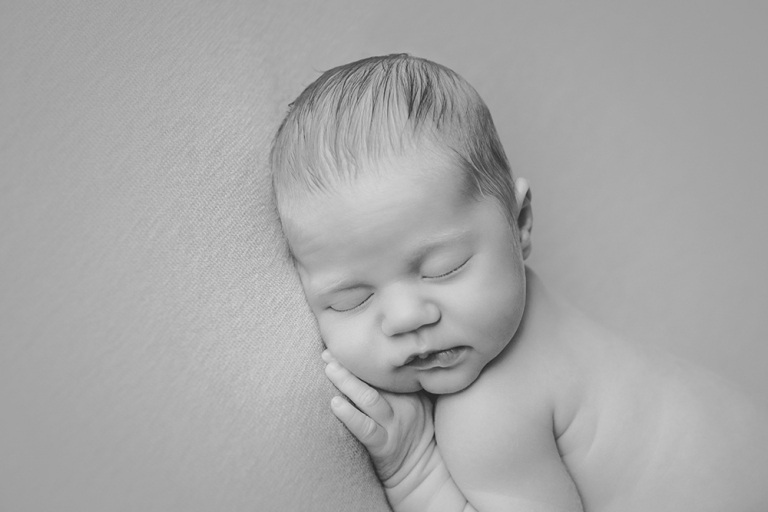 With all my Newborn Sessions, I can come to you or, you can come to my home studio in Engadine. Wherever your prefer! Also, you have the opportunity to pick out all the props you love for your photos. I have a Props Page on my website that you can browse and select the props you love most for your photographs. to enquire about your custom newborn shoot. 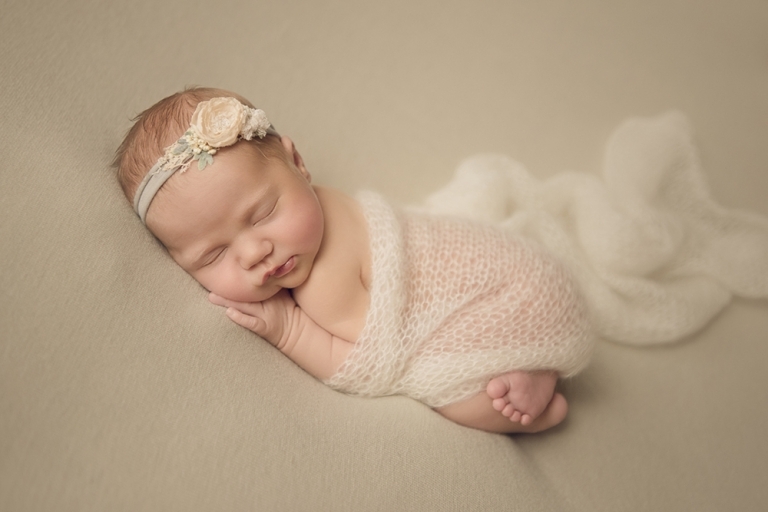 Newborn Baby Photography Sydney. For their family, Eden’s mum and dad chose a lovely album to showcase their photographs. This particular album is 10×10 inch in size and the cover material and cover were chosen by them. Eden’s name is even embossed on the front cover, giving their album further personalisation. In addition, they also chose a lovely large print, featuring both of their girls to hang on their walls.